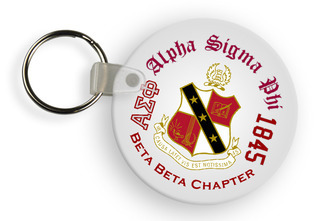 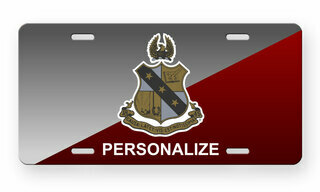 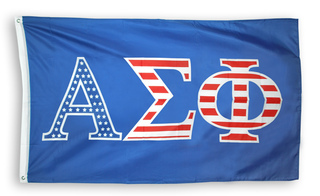 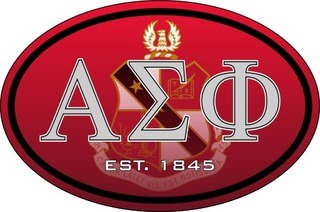 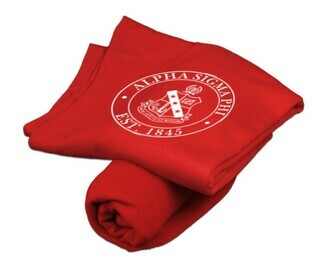 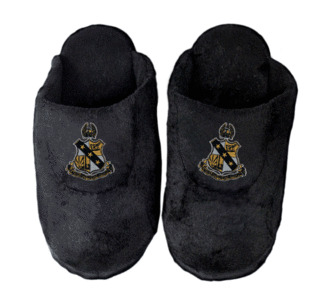 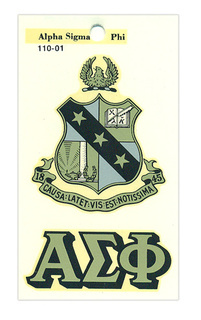 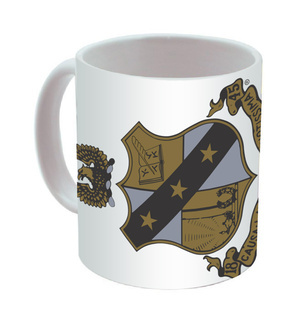 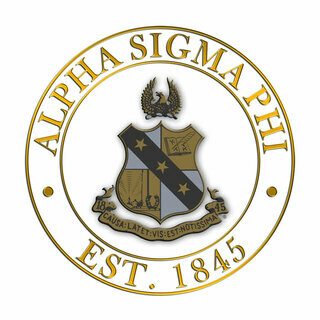 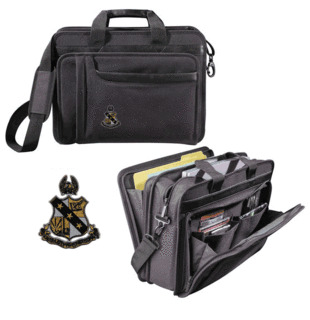 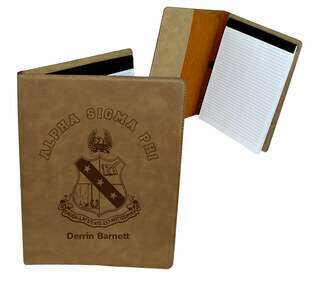 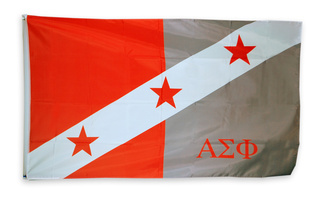 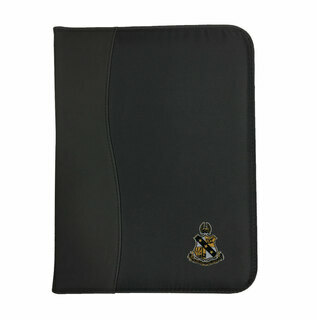 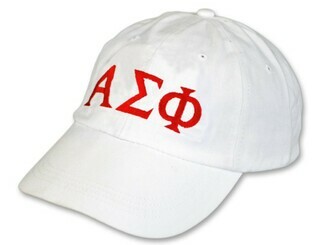 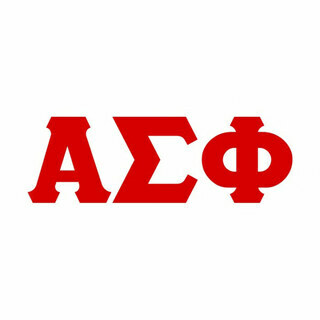 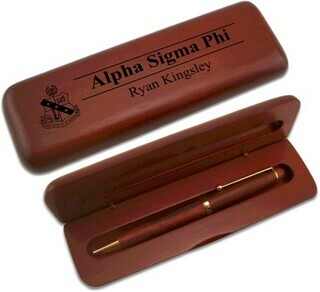 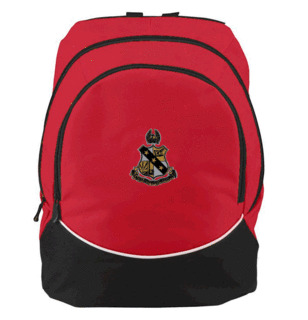 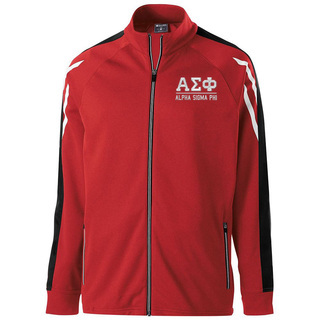 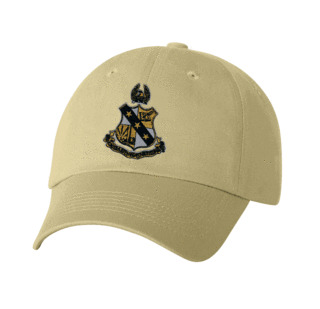 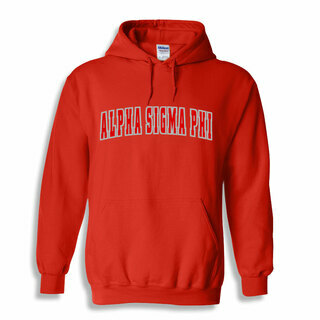 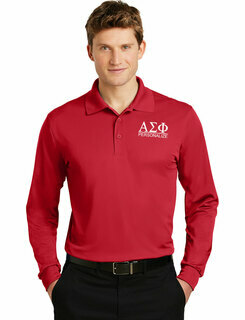 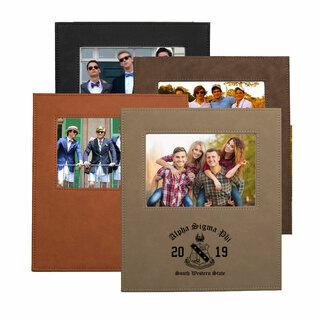 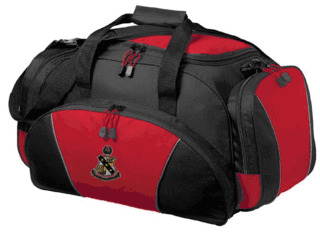 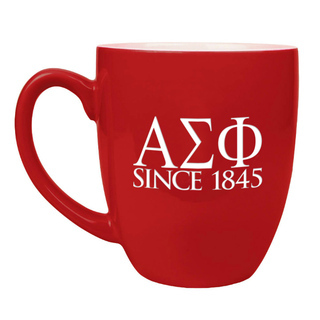 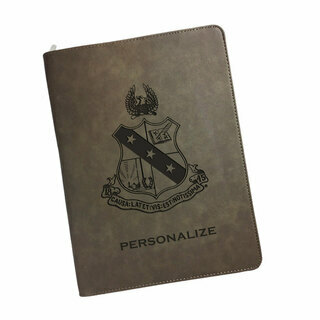 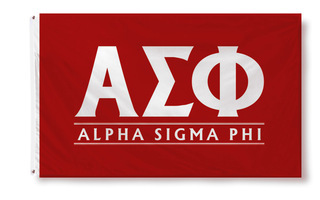 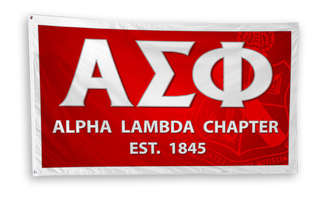 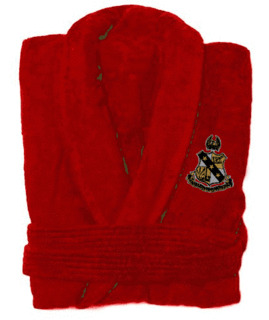 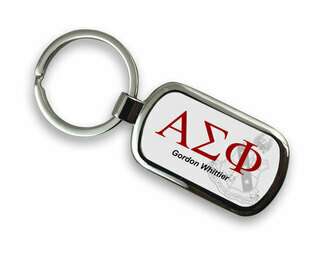 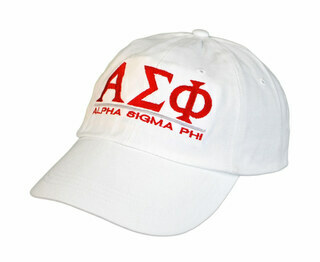 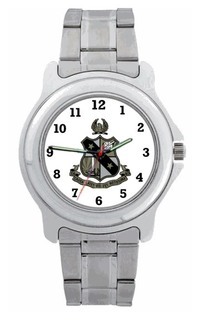 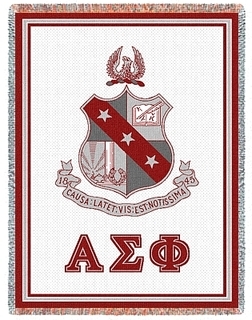 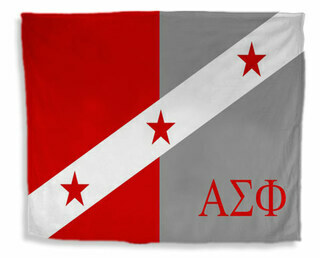 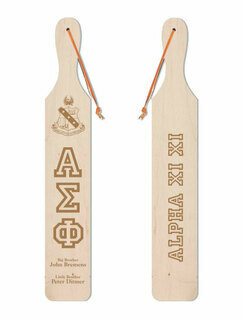 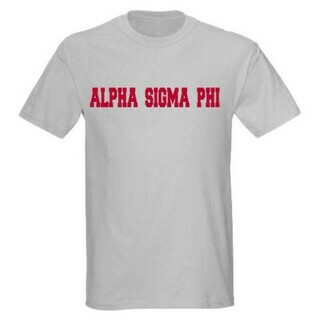 Proud members of the 10th oldest fraternity in America love our selection of Alpha Sigma Phi apparel and gifts. 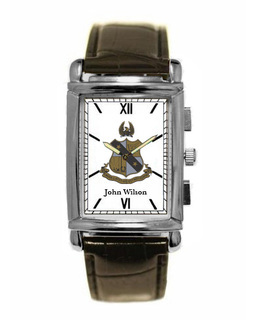 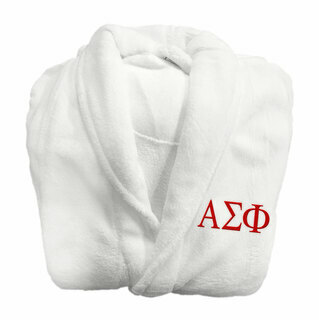 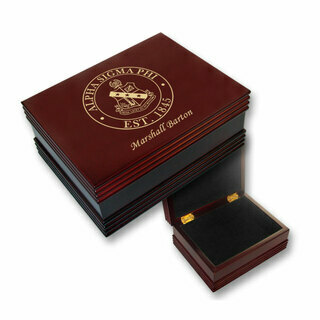 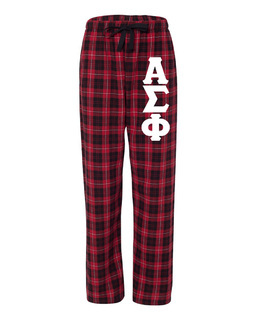 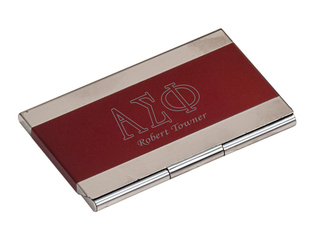 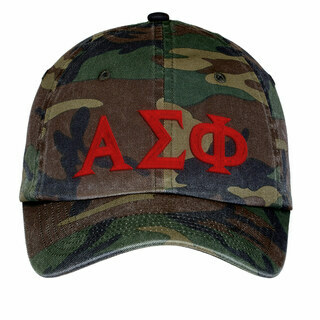 Stylish designs are decorated with the world-famous Alpha Sigma Phi crest and letters, plus enough red, gold and white to impress even the most devoted Alpha Sig. 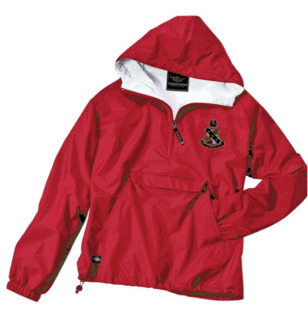 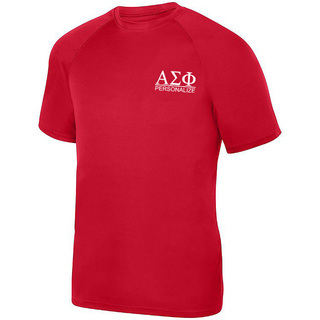 Greek Gear is the authority on fraternity gear, so we carry tons of Alpha Sigma Phi clothing for every occasion, climate and personal style. 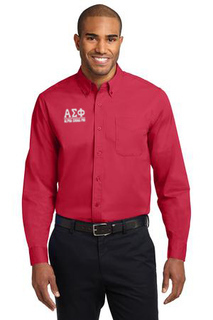 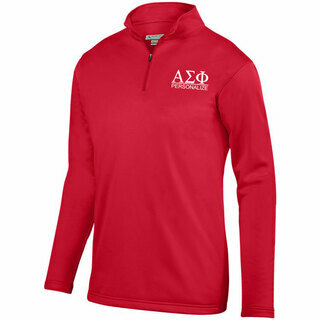 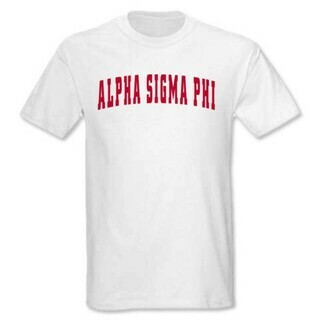 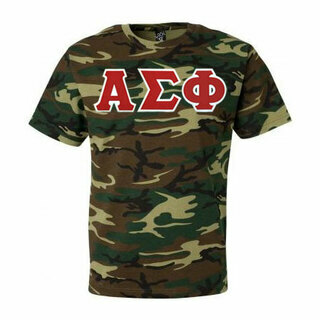 You can order from our huge variety of pre-printed Alpha Sigma Phi shirts or create custom Alpha Sigma Phi apparel using our Design Your Own option. 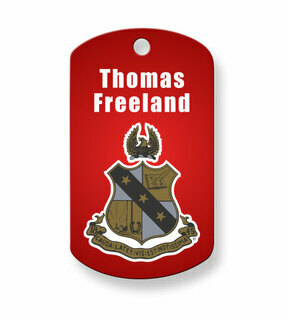 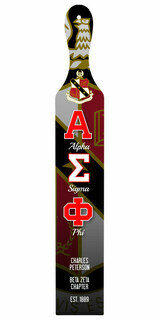 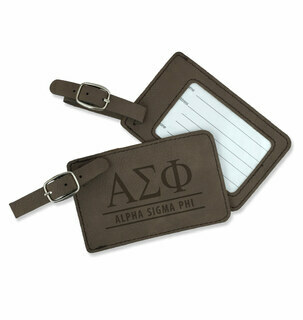 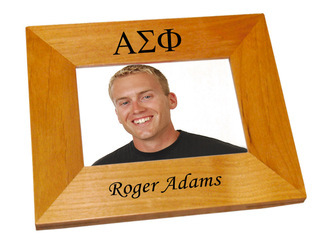 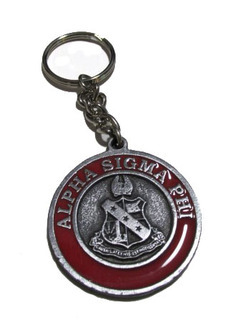 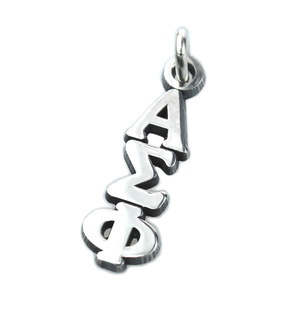 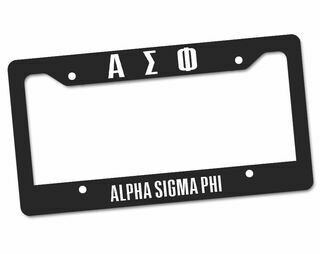 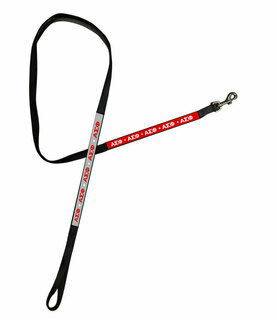 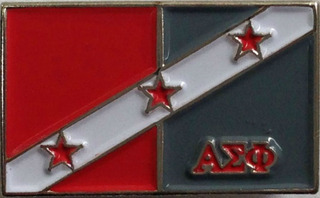 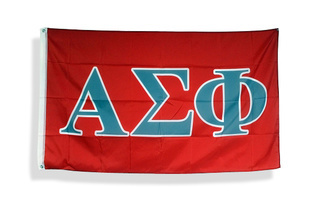 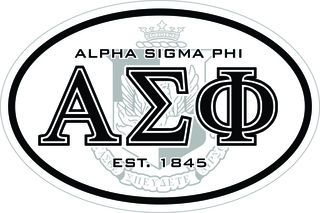 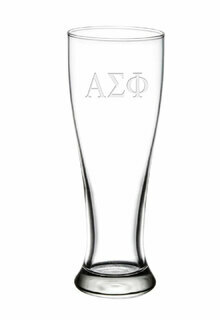 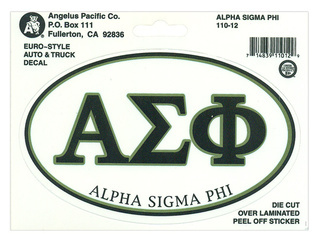 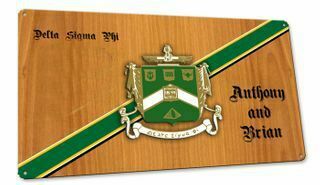 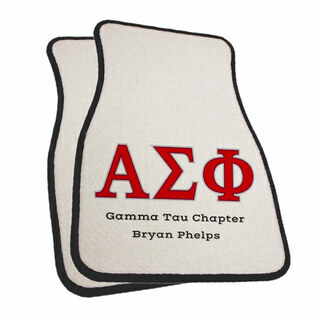 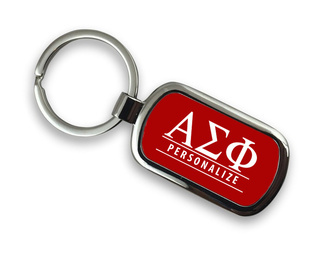 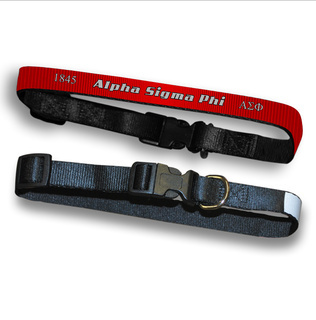 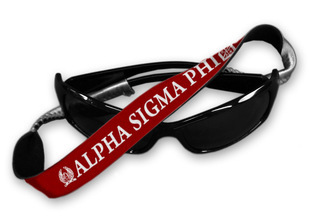 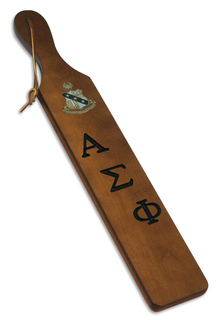 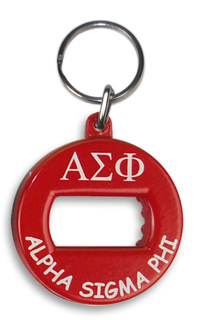 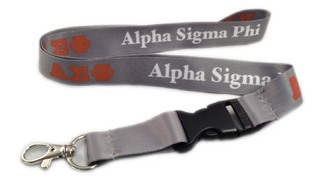 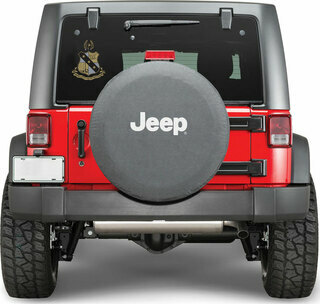 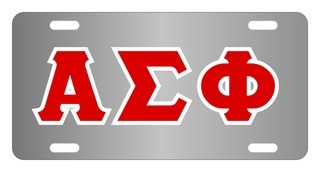 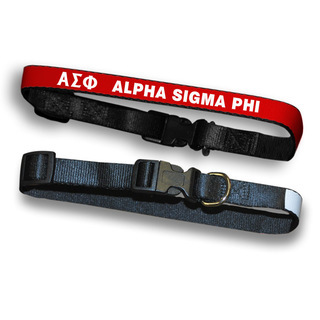 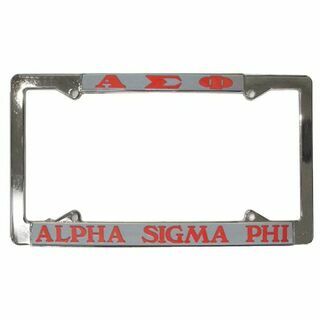 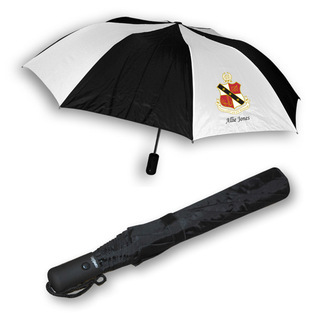 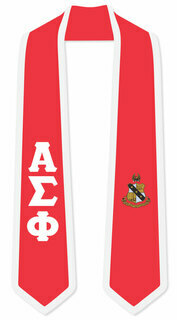 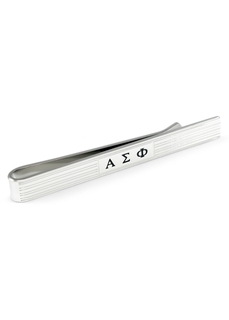 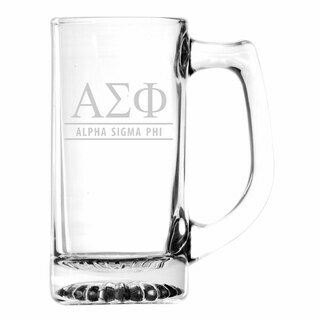 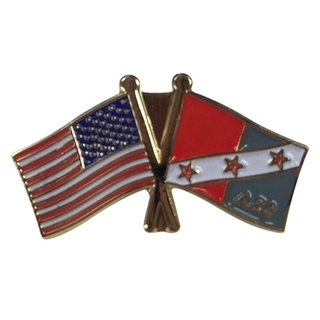 Greek Gear also has a well-stocked assortment of Alpha Sigma Phi accessories and gifts, including Alpha Sig paddles, license plate frames, flags, glassware, jewelry, stickers and more. 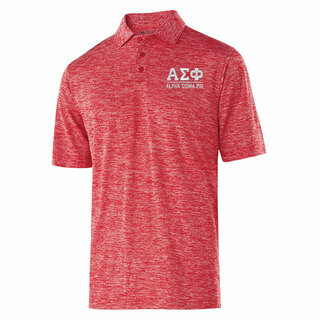 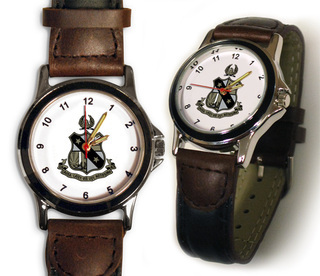 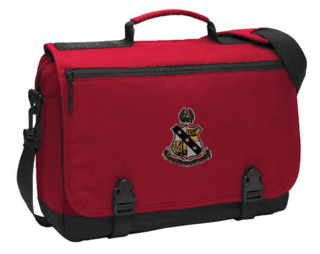 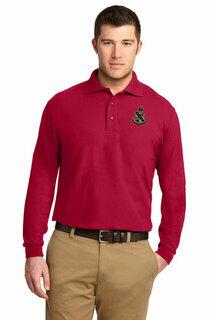 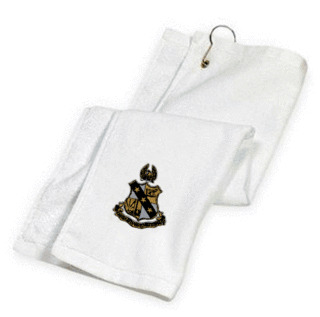 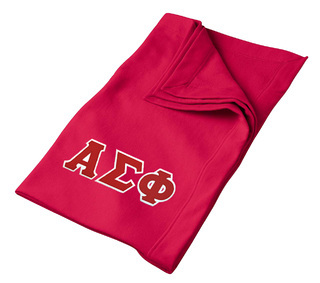 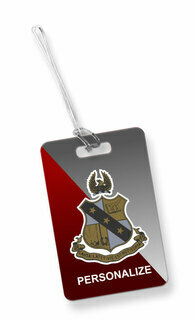 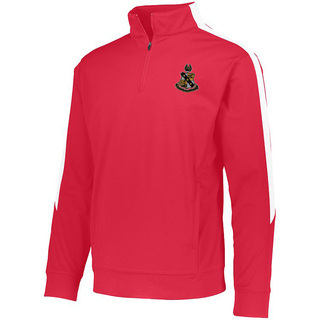 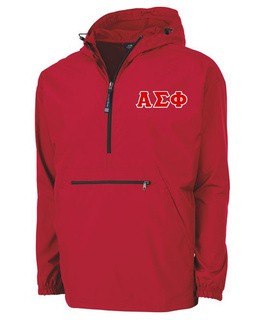 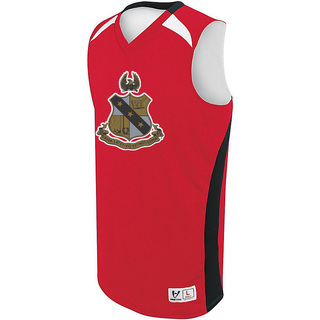 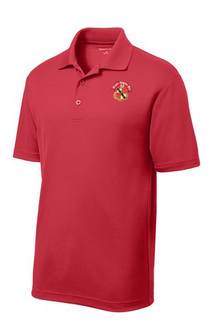 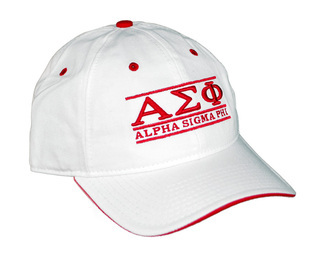 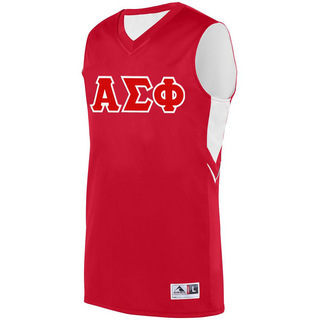 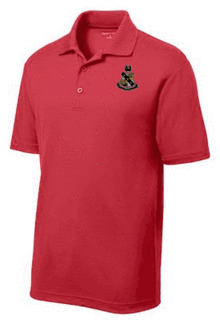 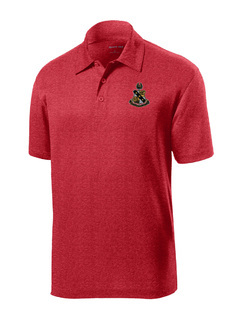 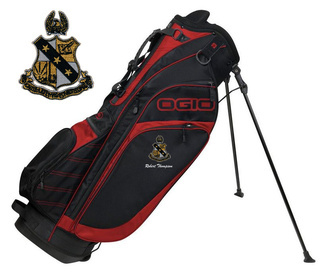 You'll find thoughtful gifts, like lettered golf balls and aprons, in our complete Alpha Sigma Phi store. 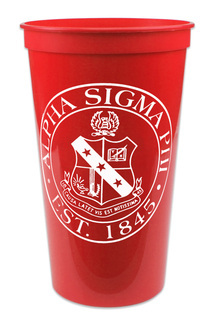 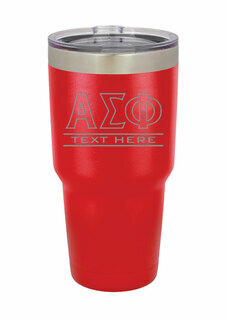 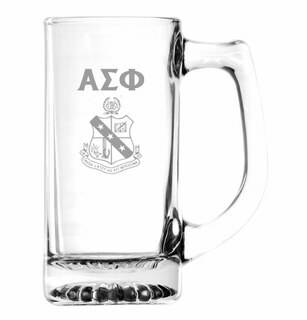 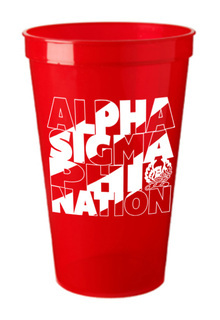 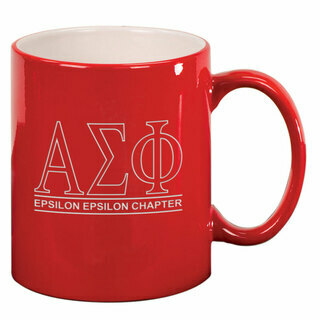 Alpha Sigma Phi Nations Stadium Cup - 10 for $10! 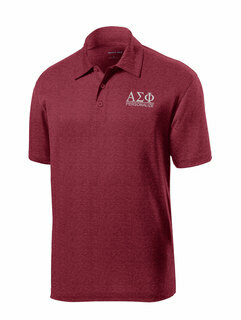 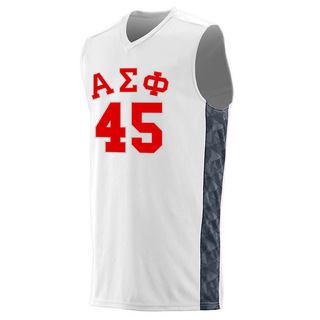 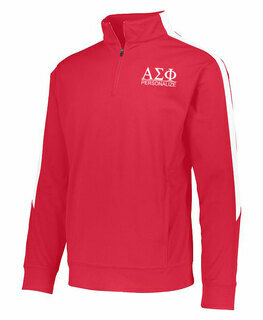 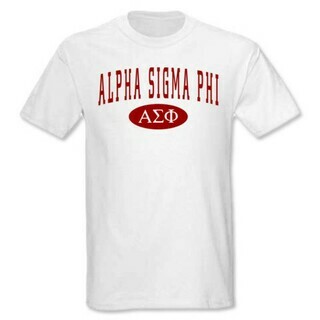 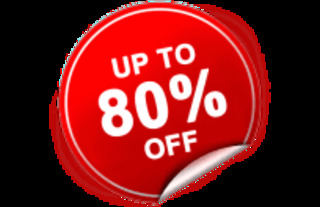 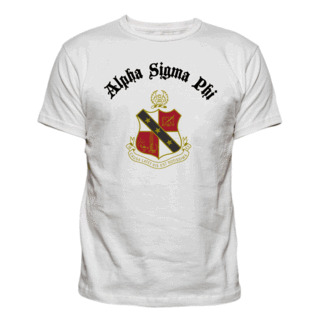 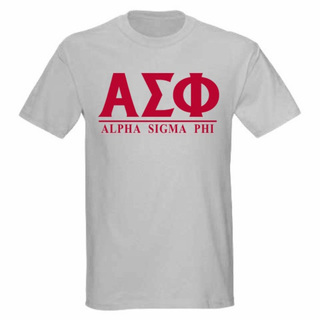 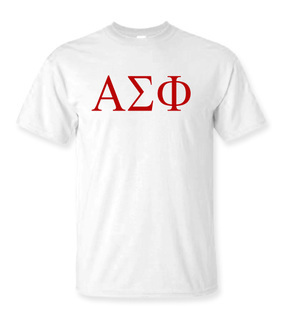 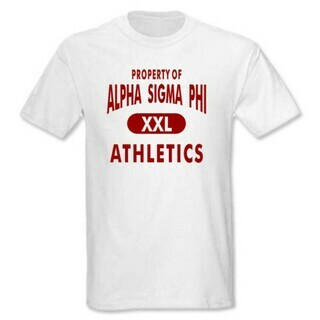 Alpha Sigma Phi Sewn Lettered T-shirt - SPECIAL SALE! 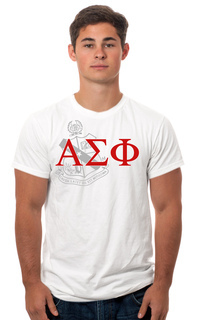 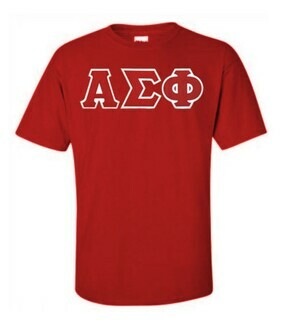 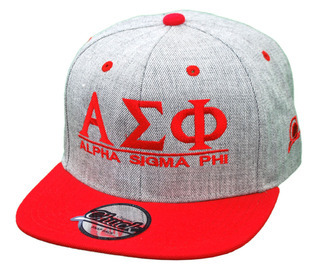 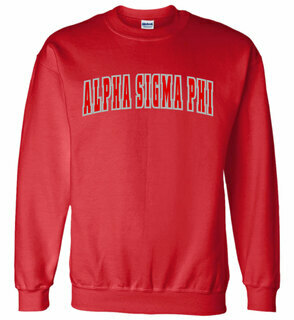 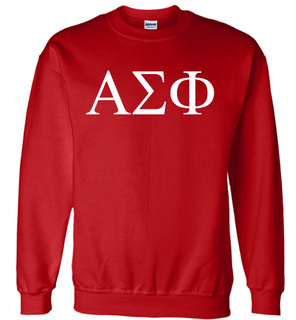 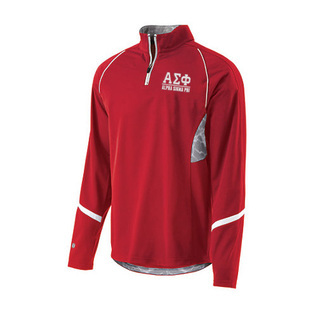 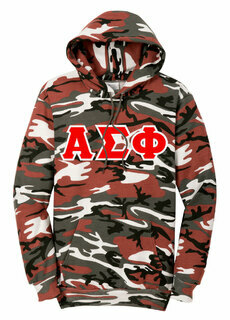 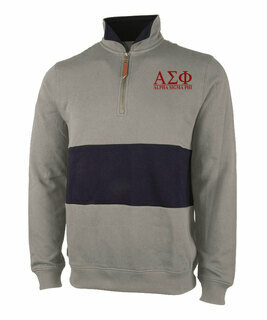 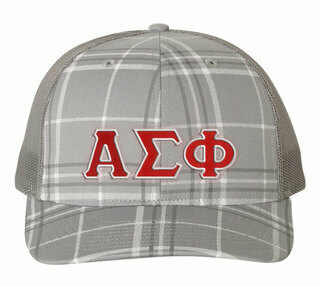 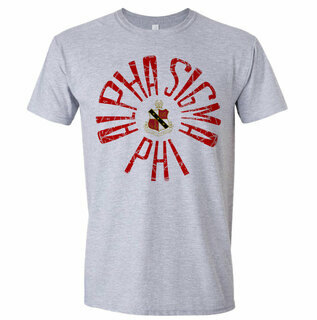 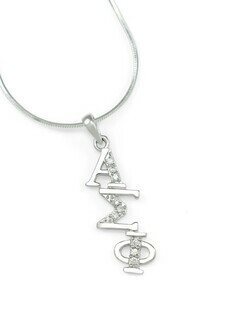 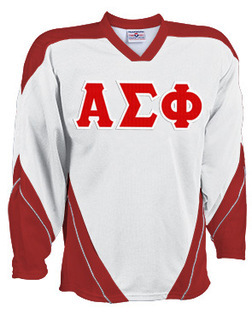 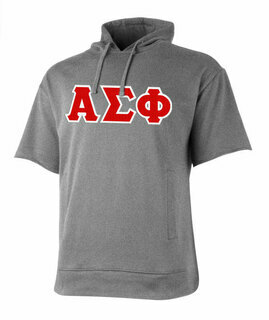 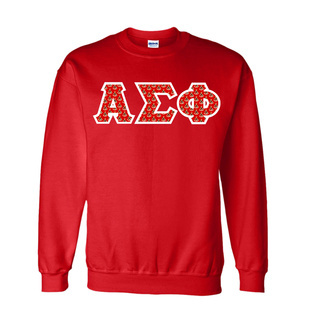 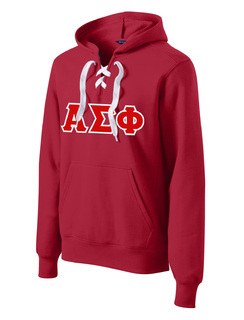 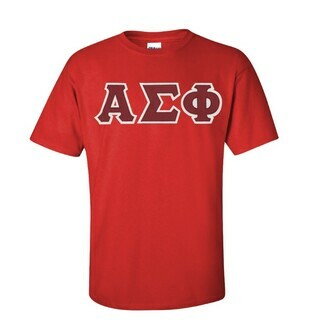 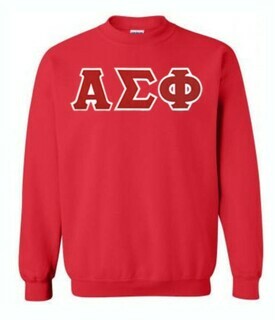 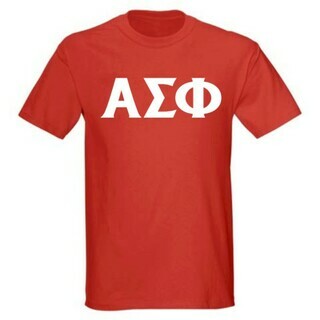 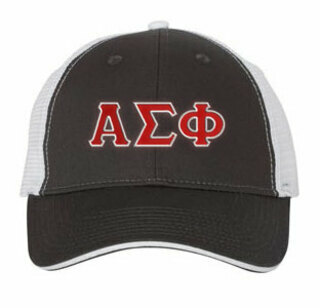 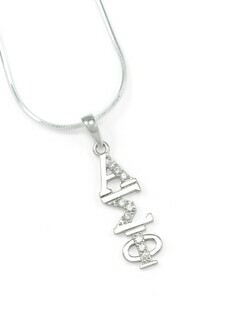 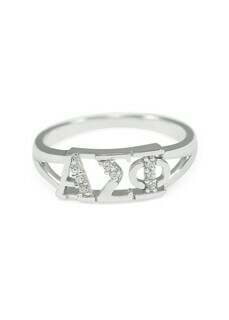 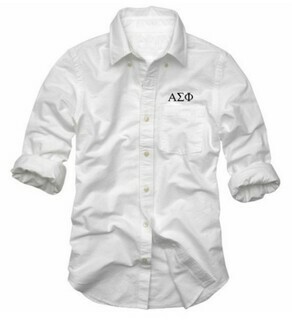 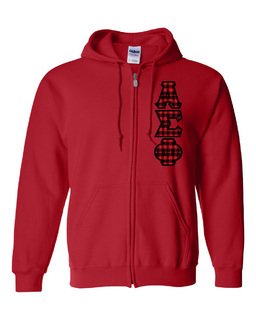 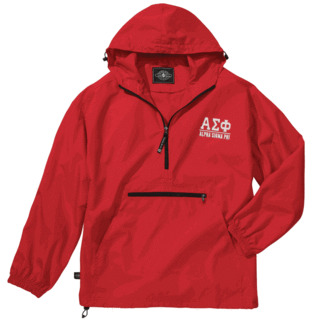 Alpha Sigma Phi Lettered Tee - $9.95! 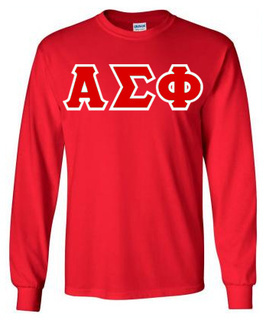 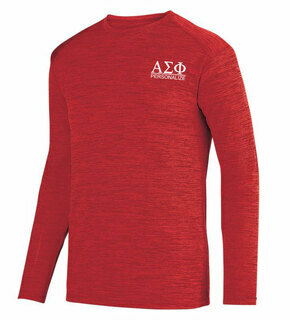 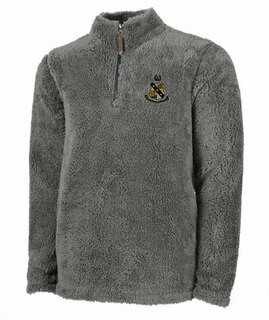 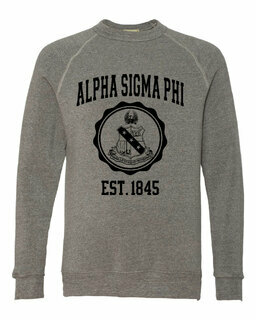 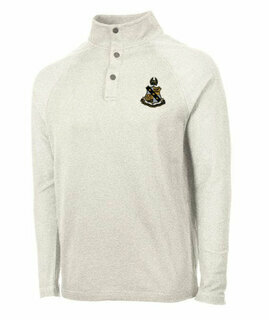 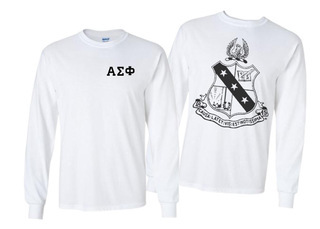 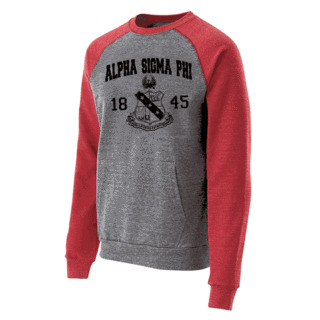 Alpha Sigma Phi World Famous Crest - Shield Long Sleeve T-Shirt- $19.95! 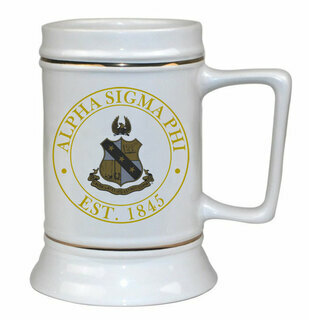 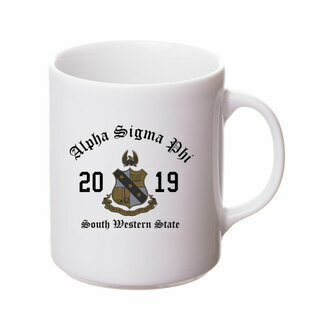 Alpha Sigma Phi Ceramic Crest & Year Ceramic Stein Tankard - 28 ozs! 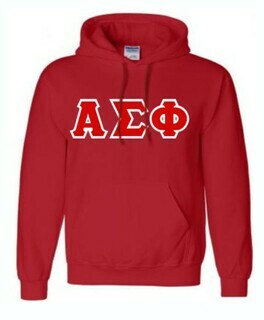 Alpha Sigma Phi Heavy Full-Zip Hooded Sweatshirt - 3" Letters! 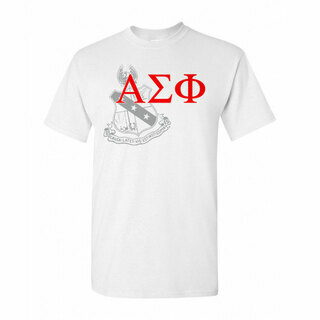 Alpha Sigma Phi Patriot Limited Edition Tee- $15!